As rural areas especially in developing countries are very spread out and often have an awful transport infrastructure clinics can be many hours if not days away from the nearest hospital with a lab able to do tests. This means that any treatment that depends on the results could be delayed by days, which is obviously not good for the patient. Barry Mendelow of the South African National Health Laboratory Service has a solution to this problem - spy planes... Not the big ones costing millions of pounds, but the small Uncrewed Aerial Vehicles (UAVs) that have been developed for soldiers to be able to see over the next hill. These are like radio controlled planes with a computer and GPS system so that they are essentially autonomous and able to fly a preprogrammed course of over 50km at 45km/hr and report back on their progress by mobile phone. 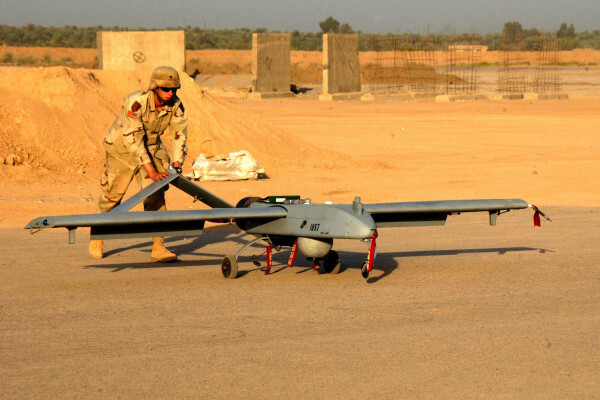 The first UAV they developed had a payload of 500g and is able to carry up to 20 blood or saliva samples or 2 units of blood or even life saving drugs such as rabies vaccines. It can be given coordinates to drop off the samples and then instructed to fly back to base. It is then landed manually by remote control. While they developed this UAV, technology for doing tests has moved on and molecular diagnostics techniques have been developed that only need a spot of blood or sputum on a piece of paper. This has lead the team to develop a much smaller and cheaper UAV with an only 10g payload which is small but still enough to carry 10-20 paper spot samples. It only weighs 800g but can be launched and retrieved by hand and has a range of over 50km. In tests they have sent a sample by UAV to a lab and got the results back to the clinic by SMS within 6 hours.